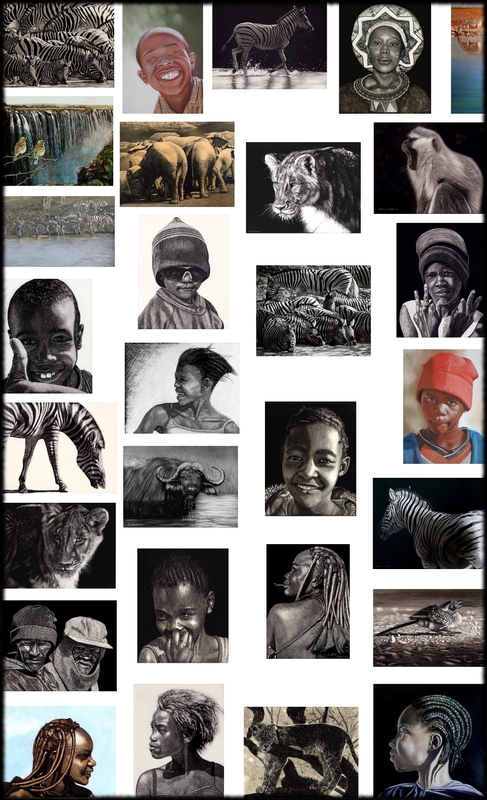 I was recently looking through my art (which is all carefully catalogued on my computer and in various other safe havens) and it struck me that my trip to Africa in 2009 was amazingly successful in generating ideas and references for my work. It was my sixth trip back home since I left at the age of fourteen but for some reason, this one made such an amazing impression that all this art poured out of me. One thing that definitely contributed was that this was the first time I had taken a really good digital SLR so not only could I keep clicking away, but I could also get in really close. I have compiled all of the pieces I’ve done from that one trip into the image below. It really is quite incredible how some travels affect you more than others and that trip was a corker!! It was through six different southern African Countries, seeing the most incredible sights. So here is a pictorial record of hundreds of hours at the desk or easel. The montage was thrown together pretty much willy-nilly but it gives an idea of how good that trip was. The scale of each image is not relative, some are much bigger than others in real life. 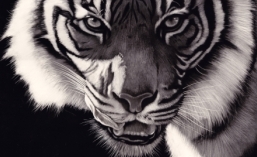 There are three different mediums represented – scratchboard, pastels and oils. This entry was posted in General Art, Travel blogs and tagged africa, art, oils, pastels, patrick hedges, portraits, scratchboard, travel, wildlife art. Bookmark the permalink.